Now that the festive season’s well and truly over and everyone’s getting back into routine, we thought we’d give you all a little treat this February to perk you up! 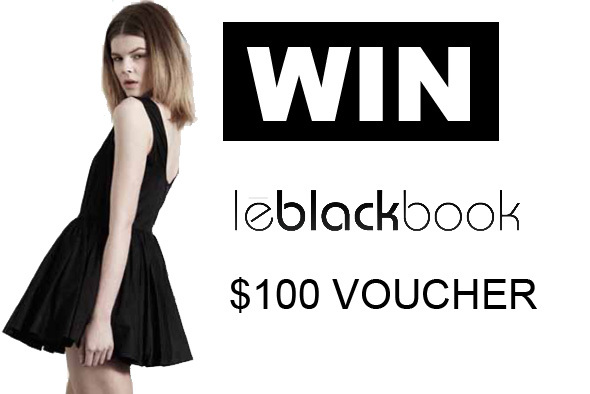 Thanks to our lovely friends at Le Black Book, we’re offering you the chance to WIN one of five $100 vouchers to spend at their fashion filled online store. We will be giving away a voucher every week for the next five weeks. To Win simply snap a street style photo of yourself in your best duds and upload it to our Facebook page. Winners will be chosen by us every Friday for the next five weeks. So make sure you get your entries in before the 5pm deadline. The last chance to win is Friday the 11th of March at 5pm. YES you can enter more than once. Goodluck we can’t wait to see what you come up with.